J.W. 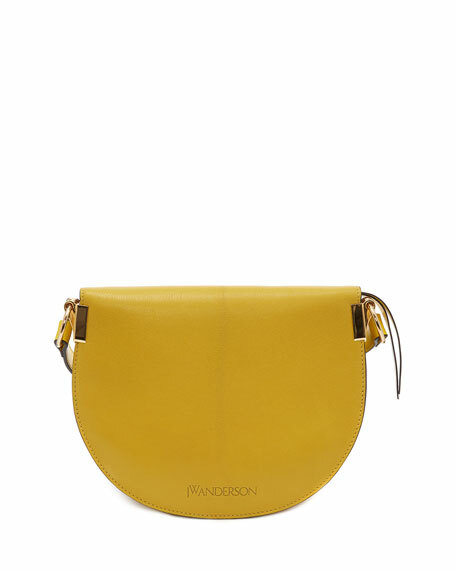 Anderson two-tone leather saddle bag. 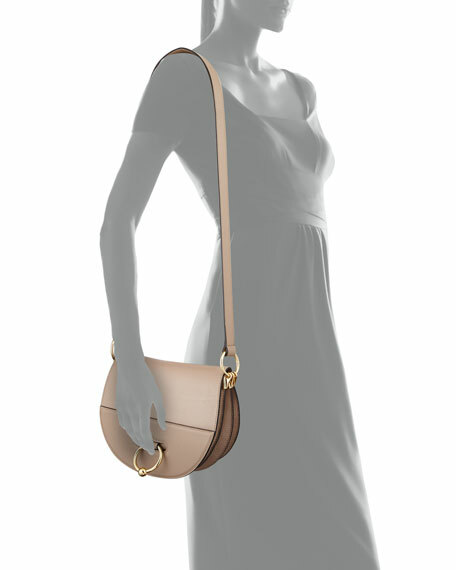 Flap top with ring latch. Embossed logo at back bottom. For in-store inquiries, use sku #2501012.